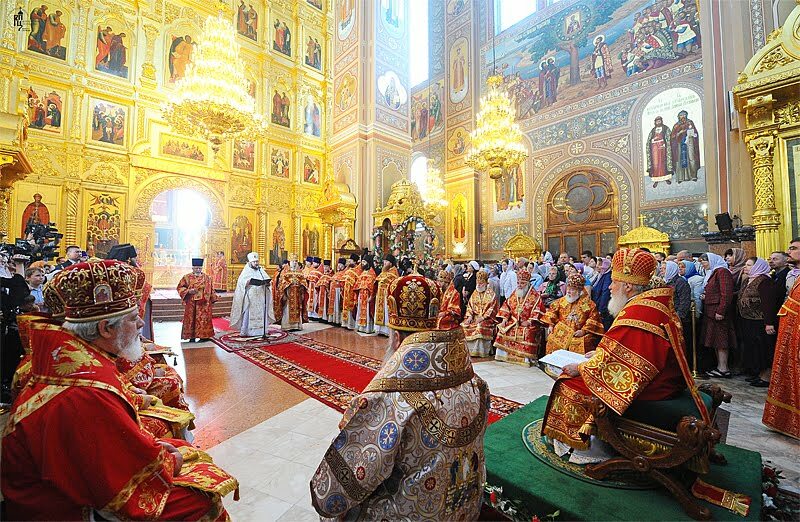 This past Sunday Patriarch Kirill (Gundyayev) of Moscow and twelve other hierarchs of the Russian Orthodox Church consecrated Archimandrite Seraphim (Glushakov) as Bishop of Voskresensk during the festal services in honor of St. Nicholas in the Ugreshskiy Monastery's Cathedral of the Transfiguration in a suburb of Moscow. Axios! Bishop Seraphim will be serving as an auxiliary of the patriarchal Eparchy of Moscow. More (in Russian) here.